With a plethora of attractions and activities just waiting to be explored, there is certainly no shortage of entertainment when going out in Barcelona. 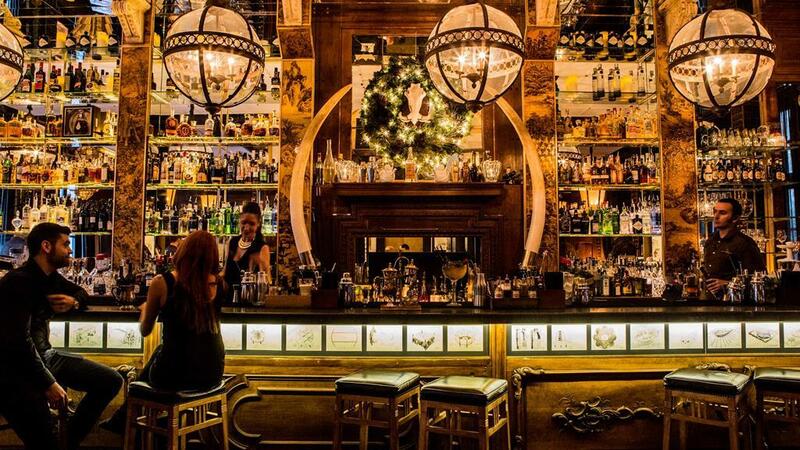 But even though many streets possess an alluring design with equally tempting establishments, some are simply in another league when it comes to providing locals and tourists with bars, restaurants, and dance clubs. Passeig de Concepció is the unique union between two of Barcelona’s most central streets: Paseo de Gracia and Rambla Cataluña. Even though it’s not the largest of streets in the city, it more than makes up for its size with its chic collection of restaurants and bars. Enhancing its appeal is the fact that it’s only a ten-minute walk from Carrer de Tuset, making it the perfect starting point for a night on the town before heading to Tuset Street or trying the various beachside clubs / restaurants. BOCA CHICA, an elegant cocktail bar, is seen as the meeting point for international people going out in Barcelona, with an extensive list of beverages ranging from the classic to the exceptional. Its dining counterpart, BOCA GRANDE, is equally chic in appearance and service quality, not to mention clientele, for it’s not unusual to see celebrities relaxing here in style while savouring some of the high-quality wine and seafood (said by some to be the best in the city). Everything about the restaurant TRAGALUZ aims to amaze, including its Mediterranean-inspired menu and the top floor’s clear glass ceiling which allows one to dine under the stars. The ground floor is dedicated to an oyster- and sushi bar, but even here there’s no denying the elegant décor or air of modernity. There’s an undeniable ambience of lushness at MORDISCO, one of Barcelona’s most impressive covered garden restaurants. One has the option of dining on the terrace, inside, or at the bar. One look at the décor and menu (which provides options from small appetisers to full meals) shows why this restaurant has been a socialising hotspot for locals and tourists since the 1980s. PETIT COMITÉ is a must for everyone seeking to discover new things while in Barcelona. This restaurant, led by Michelin-star Chef Nandu Jubany, perfectly summarises the essence of traditional Catalan dishes before transforming them with natural ingredients and flavours from the forest, earth, and sea. Tuset Street is located in the neighbourhood of Eixample Dreta, right above the Avinguda Diagonal. This area tends to be frequented by more locals than tourists, especially in Ajoblanco and Gatsby, and presents a sunnier, more upbeat style in contrast to the shady feel of the city’s older parts. Due to the wealthy elite of Barcelonese society keen to move into this new part, modern-day Eixample Dreta has some of the most luxurious examples of modern architecture in Barcelona. And Tuset Street undoubtedly stands out due to its generous mixture of dance clubs and restaurants catering to a wide range of clientele. With its bedazzled main dance floor, VIP sections, and a separate dance space dedicated to Latin pop and hip hop, BLING BLING claims to be the ‘the most exclusive club in town’. It’s certainly true that it attracts the posh crowd of the city who seek fancy and exotic cocktails while dancing to a variety of music. 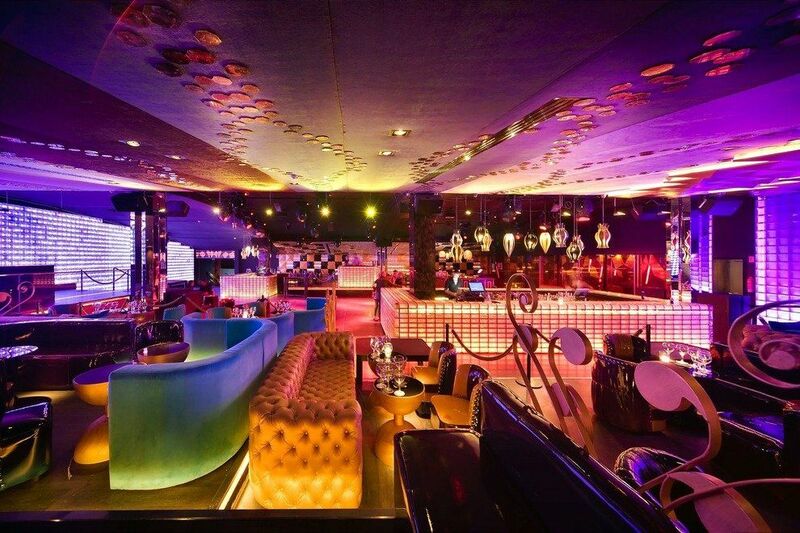 SUTTON BARCELONA is quite the unique option for those looking for a night out with the crowd. Proud of being “dramatically different”, the club caters to a variety of clients (whose ages fall between 21 and 40 years, depending on the day or event) who come to enjoy themselves on the 1,500 m² of floor space, alongside the latest lighting and sound technology. One has to walk through a mall to find the entrance, but once inside GATSBY, clients are transported to a Twenties-style cabaret world. Glitz and glamour abound and guests are treated to a series of interactive performers surrounded by bold Art Deco-inspired spaces. Definitely recommended for those seeking dance performances with their high-quality meals. Tapas-restaurant-meets-cocktail- bar AJOBLANCO is another favourable option for a fun night out on Carrer de Tuset. Guests come for the modern Mediterranean menu with unforgettable cocktails and Spanish wine list, and stay for the live music performances on various nights. Passeig Marítim de la Barceloneta presents the first of Barcelona’s beaches, quite the alluring area (the perfect ocean views definitely play a part) which becomes even more popular during weekends. The 1.25 km promenade remains a favourite among the city’s joggers and cyclists, but also those seeking socialising hotspots when going out in Barcelona. Flowing right onto the beach is CDLC, a popular restaurant specialising in Oriental cuisine with a Mediterranean touch, yet which also becomes a lively dance club with a chic atmosphere. With its spacious terrace looking out onto the ocean, OPIUM remains a firm favourite among Barcelonians (and visitors) looking for al fresco fun. The Mediterranean cuisine and nightly club scene ensure it remains a popular hangout spot every day of the week. Also basking in the Mediterranean sun is SHOKO, a beach-side restaurant decorated with the principles of Feng Shui which turns into a dance club at midnight. Definitely a trendy choice with the younger crowd. PACHA might be known as one of the trendiest clubs in the city, but it is also a first-rate restaurant focused on fresh Mediterranean dishes, a variety of cocktails, and fresh sea breezes accompanying guests on the open and covered terraces. Another beach-side gem, BESTIAL amazes guests with not only Mediterranean views enjoyed from its multi-level garden terrace, but also meals and drinks savoured in a relaxing environment. The beach club ensures unforgettable hits from the 80s, 90s, and a touch of disco.